Only permitted to go solo paddling after successfully completing a demonstration of a solo capsize and recovery, or recovery refresher course, or Solo Paddling Course within the year of 2018. You must always be accompanied by a person over the age of 16 or have successfully demonstrated a solo capsize and recovery, or recovery refresher course, or Solo Paddling within the year of 2018. 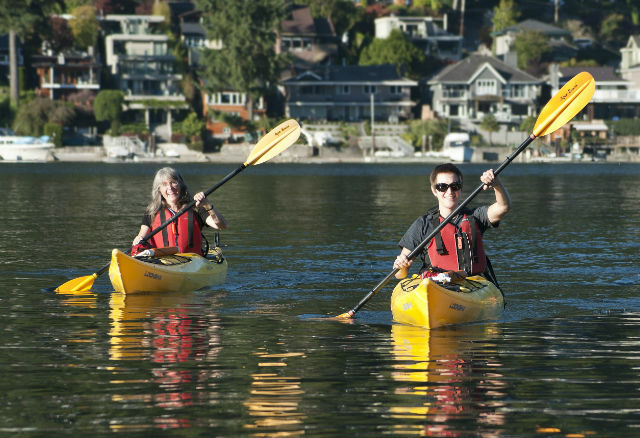 Deep Cove Kayak Centre’s four Sea Kayaking Basics lessons. Including Introduction to Ocean Kayaking, Introduction to Capsize Recovery, Bracing and Edging and Solo Paddling. This four pack lesson series can be purchased for $295 plus tax (note: with a season pass you receive a 10% discount on all lessons and tours).